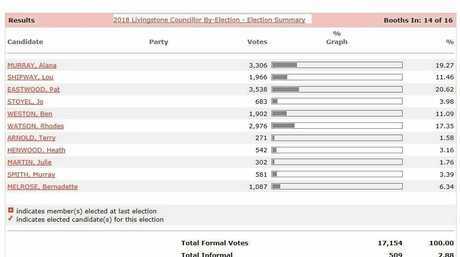 KEEPING with the recent tradition of CQ elections, the results in the Livingstone Shire Council by-election are too close to call after counting concluded yesterday. With almost 70 per cent of the vote counted, the race is still to close to call with only 200 votes separating first and second place. 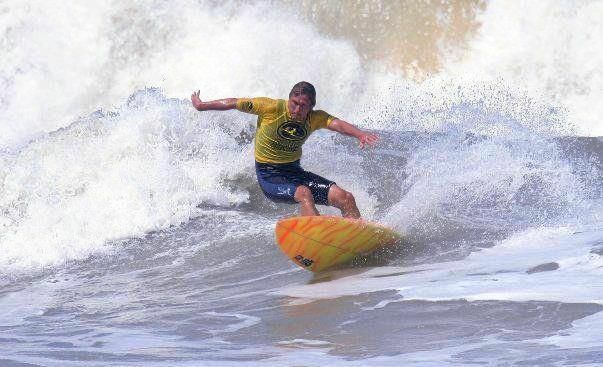 Surfing coach Pat Eastwood is clinging to a narrow lead just ahead of young political aspirant and law student Alana Murray. 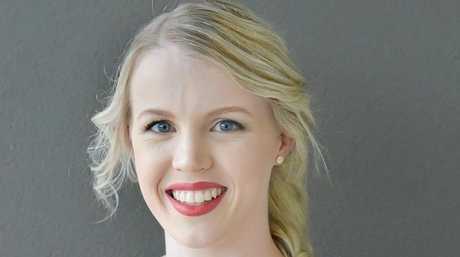 Going into the election, it was difficult to stand out in the strong field of 11 candidates but 21-year-old Ms Murray was one of the favourites, especially with the younger demographic. 11. Terry Arnold with 1.61 per cent. The election, which is decided by first past the post, is poised to be decided by postal votes. 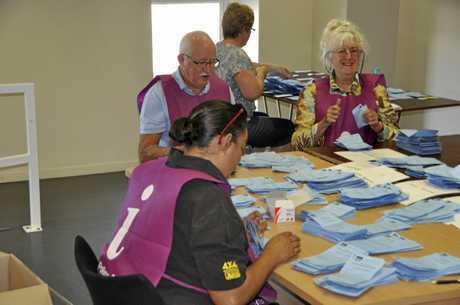 The ECQ returns officer confirmed they had counted all of the votes lodged yesterday and today they would go through and check their counts and count approximately 300 postal votes. They will continue to count postal votes until the the cut-off for return of postal ballot papers on Tuesday March 27. Livingstone Shire is likely to be waiting another week-and-a-half before a definitive winner was declared, according to the Electoral Commission Queensland and a returns officer. 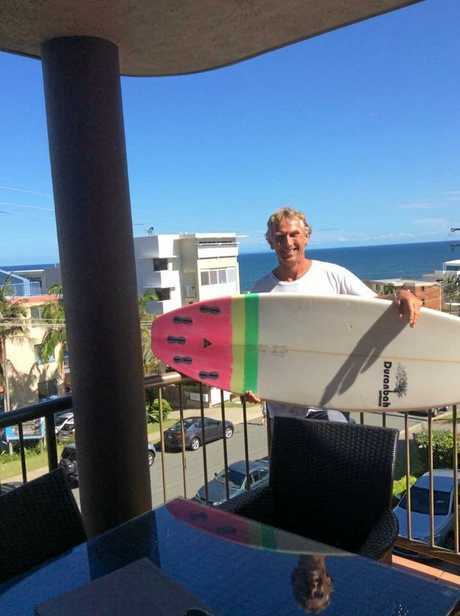 Champion surfer Mr Eastwood, who owns Capricorn Coast Learn 2 Surf (one of Queensland's most northern surf schools) and narrowly missed out on a spot in Council after the last election, said the vote was still really close. If he was to succeed, Mr Eastwood said he planned to run the Surf School in a smaller capacity. Ms Murray said regardless of the final outcome, she was taking this whole experience as a win. "We pulled together a good 'first time' campaign, especially one in such a short time frame. I think we achieved our purpose- and the voting results show that Livingstone Shire is ready for a fresh voice at the council table,” Ms Murray said. "I had a standing start, I was the underdog of the 11 candidates. Ms Murray said of 11 candidates to be so close until the final sprint, is definitely a better result than she modestly expected. "I wish Pat the best of luck. He's a good man. I voted for him at the last election when he came runner up. I went into this knowing I wouldn't have minded if he beat me,” she said. "I thoroughly enjoyed the whole experience, even the sunburn and the tough questions. Ms Murry was greatly encouraged and overwhelmed by the support she received from all age demographics as the community rallied behind her over the last three week. "[Also] by the personal messages of encouragement by friends and strangers,” she said. "And I am so grateful for my family. They have put their hearts and bodies on the line to encourage and support me all the way along, from start to finish. Candidate Jo Stoyl also wrote to The Morning Bulletin thanking the people of Livingstone, the volunteers and her family for their support saying she loved every minute of the by-election. "Every candidate brought something that this community needs and each were fantastic to get to know and work alongside,” Ms Stoyl said. Livingstone Shire mayor Bill Ludwig was also approached for comment.